American portrait painter, celebrated especially for his portraits of George Washington, was born in Queen Anne county, Maryland, on the 16th of April 1741. During his infancy the family removed to Chestertown, Kent county, Maryland, and after the death of his father (a country schoolmaster) in 1750 they removed to Annapolis. Here, at the age of 13, he was apprenticed to a saddler. About 1764 he began seriously to study art. He got some assistance from Gustavus Hesselius, a Swedish portrait painter then living near Annapolis, and from John Singleton Copley in Boston; and in 1767-70 he studied under Benjamin West in London. In 1770 he opened a studio in Philadelphia, and met with immediate success. In 1772, at Mount Vernon, Peale painted a three-quarters-length study of Washington (the earliest known portrait of him), in the uniform of a colonel of Virginia militia. This canvas is now in the Lee Memorial Chapel of Washington and Lee University. He painted various other portraits of Washington; probably the best known in a full-length, which was made in 1778, and of which Peale made many copies. This portrait had been ordered by the Continental Congress, which, however, made no appropriation for it, and eventually it was bought for a private collection in Philadelphia. Peale painted two miniatures of Martha Washington (1772 and 1777), and portraits of many of the famous men of the time, a number of which are in Independence Hall, Philadelphia. His portraits of Washington do not appeal so strongly to Americans as do those of Gilbert Stuart, but his admitted skill as a draughtsman gives to all of his work considerable historical value. Peale removed to Philadelphia in 1777, and served as a member of the committee of public safety; he aided in raising a militia company, became a lieutenant and afterwards a captain, and took part in the battles of Trenton, Princeton and Germantown. In 1779-80 he was a member of the Pennsylvania assembly, where he voted for the abolition of slavery -- he freed his own slaves whom he had brought from Maryland. 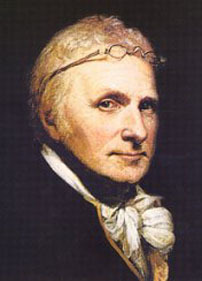 In 1801 be undertook, largely at his own expense, the excavation of the skeletons of two mastodons in Ulster and Orange counties, New York, and in 1802 he established at Philadelphia Peale's Museum. He was one of the founders, in 1805, of the Pennsylvania Academy of the Fine Arts at Philadelphia. At the age of eighty-one Peale painted a large canvas, "Christ Healing the Sick at Bethesda", and at eighty-three a full-length portrait of himself, now in the Academy of the Fine Arts. He died at his country home, near Germantown, Pennsylvania, on the 22nd of February 1826.